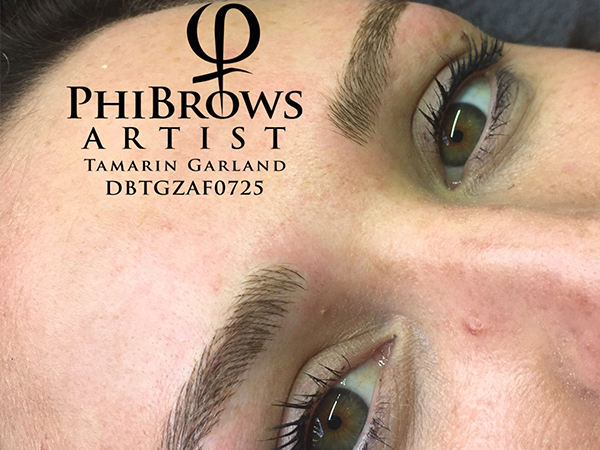 Microblading is a form of semi-permanent eyebrow tattooing. We determine the shape of the eyebrows according to each individual’s bone structure using a compass type tool. An app is then used to determine correct symmetry at which stage the client is asked to consent to the shape of the pre-mapped brow. Once the client is happy the manual treatment begins. The pigment is applied into the surface layer of the dermis using a sterilized ‘blade’ made up of 18 tiny needles. The pigment is chosen to match the natural colour of the hair or eyebrows of each client. After the healing, the colour may become several hues lighter than the natural hairs’ colour. Strokes are always drawn in the direction of the natural hairs’ growth to achieve a realistic look. Treatment is performed with disposable sterile tools (PhiBrush), and the pigments are produced in accordance with the highest standards (PhiBrows Microblading Pigments). A touch up application is done 4-8 weeks after the initial treatment, because between 10 and 15% of drawn strokes disappear after the first treatment due to the natural healing process of the body. Please do not panic if you feel the colour is too dark in the first week! It will lighten up to 40% after the first week. Whatever you do, DO NOT try to remove the colour or pick at it! You will affect the healing and can cause possible scarring of the brows. On average, the treatment lasts between 10 and 12 months. With very oily skin it may need to be redone as soon as 6 months. Colour duration primarily depends on how oily the skin is. The oilier the skin, the shorter the colour lasts. Sweating and sun exposure also affect the colour durability. Please see post treatment care for more info. The healing is fully completed after 28 days and this is when we perform an obligatory addition (touch up) of the pigment that has been lost. With problematic and oily skins, we can have several corrections. Post-treatment aftercare makes 70% of the treatment’s success. Conscientiously obey advice, because if you don’t do so you may lose up to 80% of drawn strokes. Pain during the treatment is relative. No pre-numbing is done as the anaesthetic makes the skin too difficult to work on and can result in less crisp strokes. After the first pass, a topical anaesthetic gel will be applied and you will feel no pain whilst we are applying pigment to the original strokes. Most clients talk of a slight burning type feeling during the first pass. It is useful to know that pain can be intensified during menstruation and if a client is very nervous. have existing old permanent make-up on your eyebrows. … as they contribute to thinning of the blood and may affect anaesthetic efficiency. You may resume taking your vitamins 72 hours after. Repeat this procedure 3 to 5 times every 1,5 hours during the day before bed. If the treatment was done late in the afternoon and you do not have time to do it 3 to 5 times, put some plastic wrap over the eyebrows after your last rinse and SkinCandy application. This will protect the eyebrows from drying and wiping whilst sleeping. In the next 7 days, go about your daily facial routine. Make sure to apply a thin layer of SkinCandy after washing your face in the morning & evening. Do not apply your face washes, face creams or make-up to the brow area for this week. *SkinCandy can be used on all skin types, due to its natural active components that regulate oiling. Do NOT discontinue any prescribed medication without your doctor’s permission. On the day of your appointment: avoid caffeine, alcohol and exercise. Wash your hair in the morning as you will need to avoid the shower for several days. Baths are recommended. *	All creams (except for the protective one) in the eyebrow area. * All make-up (foundation) in the eyebrow area. * From day 3 or 4 the skin will start creating small ‘scabs’ that look like little flakes. This is part of the natural healing process… AVOID PICKING THE FLAKES!! It can cause scarring and will remove the pigment a lot faster than expected. * Sun tanning, sunbeds, light or laser therapies, chemical peels, fruit acids, microdermabrasion, creams that contain regeneration factors. * ALWAYS avoid laser treatments over the treated area (fraxel laser, IPL), because they can destroy the pigment and cause burns. 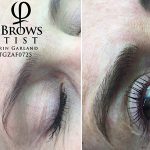 Microblading is a relatively new, manual method of cosmetic tattooing. It is regarded as semi-permanent procedure that creates small hair-like strokes to give you a natural looking brow. It is regarded as semi-permanent as the pigment has the ability to fade quicker than a standard tattoo. 2Why does the pigment fade? The tool we use is a manual tool comprised of 18 small needles. This tool allows the artist to create very thin hair-like strokes into the upper dermal layer of the skin. To create the desired effect of hair-like strokes it is important that the artist not work too deep otherwise it will create an eyebrow that has a more “solid-line” look. 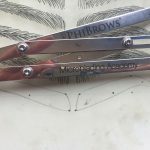 There is less pigment implanted into the skin using this manual tool, thereby giving the client a much more natural looking brow than a standard tattoo brow. 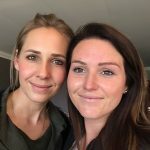 3What are the benefits of Microblading? Less time is spent filling brows and trying to make them as symmetrical as possible as we’ve done the work for you. You may need to tweeze hairs that grow beyond the outline we have given you, but that may be 1 or 2 hairs every week. Once they have fully healed you are welcome to pencil them in if you have an evening event you are attending. This shouldn’t be necessary though. Can correct brows that have lost all hair or have become patchy. Your over plucked, tweezed or waxed eyebrows will become a thing of the past! You will have a shape that frames your face and features your eyes! 4What happens during the procedure? The procedure takes anything from 1,5 to 2,5 hours. Some clients may spend more time asking questions during consultation. 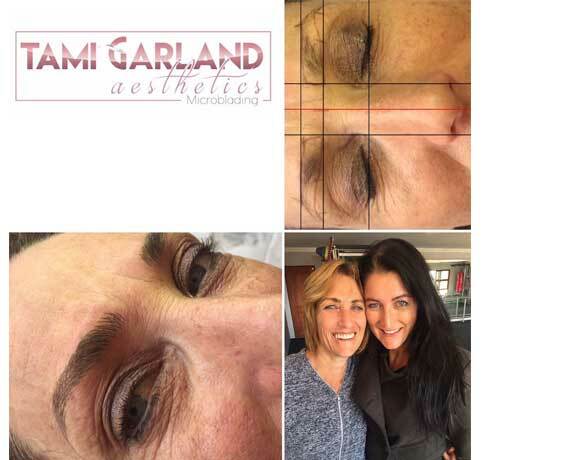 Some clients brows may be difficult to shape, and others may have difficult skin to work on. Please take into consideration that every client is different and your artist wants to give you the best brows possible. 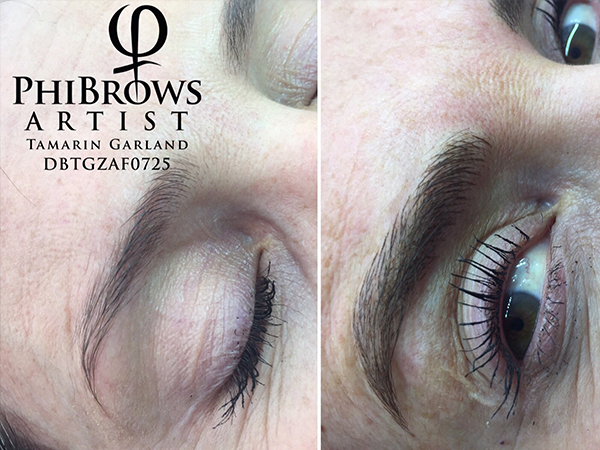 Microblading is an art but it is not a standard procedure as client’s face shapes, skin types and skin conditions all vary. Please allow at least 2 hours for your treatment. First step is to take before pictures for both the artist’s and client’s records. The skin is then wiped clean of make-up and dirt and sanitized before work begins. The artist will mark out specific points on the brow bone to map out a brow that suits the client’s face shape and bone structure. An app is used to check symmetry of the brow’s thickness and length. The artists will then show and explain how she has worked out the brow shape and symmetry. The client will be allowed to look in a mirror and then he/she will need to provide consent to the artist to carry on with treatment. The artist will determine the pigment colour according to natural hair colour (not the dyed version) and skin tone. A sterilised and brand new set of tools will be opened in front of the client, for each new client. Hygiene is important as the skin will be cut to impart the pigment. After both brows have been filled, the artist will apply a mask of the pigment used during treatment for 5 minutes. This allows the pigment to set into the cuts. Your skin will be gently cleansed with a pH natural soap and a protective barrier of Skin Candy applied. You will be instructed on aftercare advice and given an aftercare pack with detailed instructions and product to use. PLEASE FOLLOW THE INSTRUCTIONS TO ENSURE THE BEST RESULTS POSSIBLE! There is a mild scraping sound that will be heard during the treatment. During treatment you may find spots that are slightly more sensitive than others. You may experience watering eyes or even sneezing as we work close to the nerves that innervate the tear ducts. The skin and brow bone may experience discomfort towards the end of the treatment as it is open and has been exposed to constant wiping. Sensitivity may be heightened pre-menstruation. 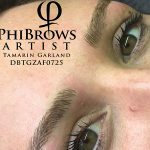 Phibrows pigments are some of the best in the industry. They are EU, FDA approved USP grade pigments that heal to the true colour. 7When do I need a touch up? It is advisable to have a correction of the colour done 6-8 weeks after the FIRST treatment. This is to ensure longevity of the treated area. Your body naturally tries to dispel any foreign objects from it and after your first treatment you may lose up to 40% of your colour. A touch up is required to impart more pigment and to correct any shaping issues. Remember each brow is an individual- they are not identical twins! 8What can I expect after a treatment? Your brows will look very intense and very dark for the first week after treatment. It will take 8-10 days for the colour to settle and for the skin to heal. The new ‘hairs’ will look very sharp and defined right after treatment. Please note that as the skin heals so these lines will start to look softer and less strict. This is natural as the skin is now healing over the pigment and it ‘blurs’ the look of the stroke. Slight redness, some swelling and sensitive skin is all normal. Treat them gently and they will heal beautifully. You will be able to go to work and carry on as normal. You may have a case of AFTERSHOCK. This is the shock factor of going from very little brows to instantly thick, dark and bold looking brows. Please DO NOT panic! 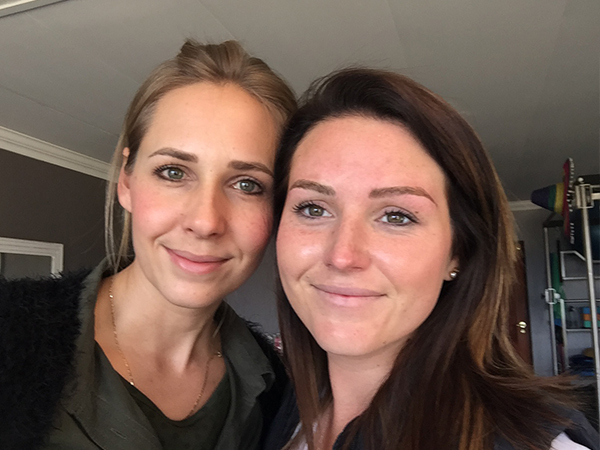 Follow your aftercare and the brows WILL settle down in 10 days and will look more natural. DO NOT TRY TO REMOVE THE COLOUR- you will create scarring and an ugly result at the end. 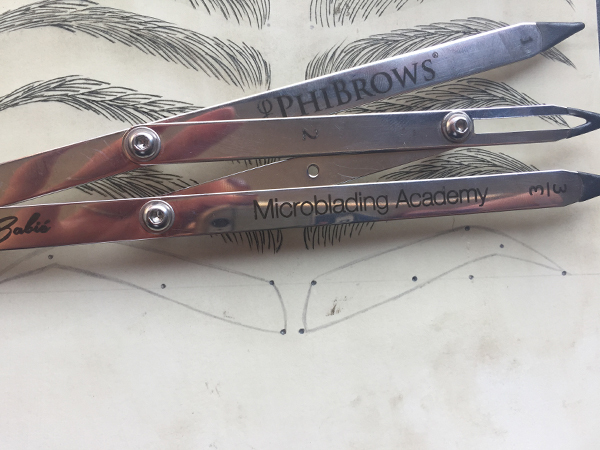 Trust your Phibrows Artist- she has had extensive training and is willing you to follow your aftercare instructions. She wants you to have the most stunning brows! People may be wary to comment on what they think… they are also going through the aftershock you are. Give them, and your brows time… you will love them healed. Am breastfeeding? It is best not to as the topical anaesthetic can stay in the bloodstream for up to 4hours after treatment. Once you have stopped breastfeeding we can commence treatment. I’ve had a recent op? It is advisable to wait 3 months after a surgery that you have had major anaesthetic for. Am on antibiotics? No, as this will affect the colour retention as it is designed to attack foreign bodies. You will need to wait 1-3 months depending on severity of course. Am on blood thinning medication? It is not recommended as it makes it very difficult to finish the treatment.